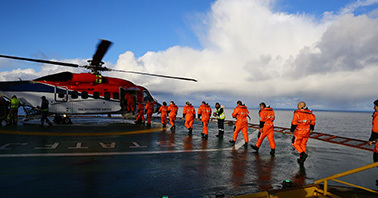 STAVANGER, NORWAY, November 7, 2018 – CHC Group announced it has signed a three-year contract with Point Resources AS, providing aviation services to the company’s operated Balder, Ringhorne og Jotun fields in the Norwegian North Sea, 100nm offshore. The contract will run until end of 2021. CHC will provide a dedicated sole use Sikorsky S-92 aircraft for this operation based at Sola, flying around ten flights per week.